My reaction, being a construction lawyer of many years, was immediately to shout (well mumble) "acceleration", that well used (and abused) term which means completing the same amount of work by an earlier date, or doing more work but by the original date. Is this, I mused over my skinny latte (with an extra shot of forest friendly, single estate blend arabica bean coffee), something BBC journalists would be shouting too? Would they be demanding additional payment for having to do the same work, much quicker than they were otherwise entitled to? Perhaps not. But if they were what does "acceleration" mean? (1) 'Express acceleration' is where an employer asks a contractor to complete the works before the agreed date for completion. The same would apply where a main contractor asks a sub-contractor to do this. It would also apply where a consultant was asked to compete the same design work before the agreed date. The same principle would apply where the parties agreed to increase the amount of work to be done by the same date for completion, i.e. there was not extension of time (EOT). Where parties do agree to accelerate the works, the legal advice is to ensure that the agreement is documented so that there is no 'wriggle' room when the final account comes to be agreed. (2) 'Implied or constructive acceleration' is where the contractor is entitled to an EOT but none has been given and yet the contractor completes the same work by the original date for completion. As with express acceleration the same would apply with a sub-contractor and a consultant. The only slight niggle is that there is a lack of definitive judicial authority (i.e. judge made law) to support the principle of implied or constructive acceleration in English law. In addition, the ability to refer a dispute over an EOT to adjudication is said to undermine the possibility of the English courts establishing the principle of implied or constructive acceleration. While the parties never agree there has been implied or constructive acceleration, it is common for this to be alleged and rebuffed in correspondence. This is good practice because it is always preferable to record events contemporaneously especially when contractual relationships start to break down. (3) An instruction to increase the rate of work is not an instruction to accelerate. Many construction contracts (standard and bespoke forms) require the contractor, sub-contractor or consultant to carry out their work diligently. If they don't, the contracts usually allow the employer or the contract administrator to instruct the contractor etc to work faster, i.e. increase the rate of work. This is not an instruction to accelerate because the instruction is to complete the same scope of work by the original date for completion. An instruction to increase the rate of progress is a fertile ground for disputes which is probably why they are not commonly issued. (4) Acceleration means greater cost. Where there is express acceleration, the contractor, sub-contractor or consultant will claim its additional cost, e.g. overtime payments, additional supervision costs, wasted materials, additional plant hire etc. Ideally, this should all be agreed in advance although some items of cost may not be known until the works are complete. There may also be a need to reduce the interim payment period due to the contractor's increased need for cashflow. Where implied or constructive acceleration is claimed, similar additional costs will be claimed by the contractor. Just because the parties agree to accelerate the works does not mean the contractor, sub-contractor or consultant cannot claim an EOT subsequently. If an entitlement (e.g. a Relevant Event, a Compensation Event etc) arises the parties will either have to agree to a further acceleration, or the date for completion will have to be extended. This is, of course, subject to what the parties' agreement to accelerate says, i.e. does it pass the risk (time and cost) of future delays to the contractor? Where the parties do agree to accelerate the works it is common for any historic entitlements to an EOT to be covered by the agreement. It is very common these days for construction contracts to provide for the contractor to be paid a bonus if it completes the works before the date for completion. This is not acceleration. I don't know if the 10 o'clock news will be cut by 10 minutes. It is a case of 'watch this news', possibly less of it. I don't know whether BBC journalists will be arguing this is a classic example of "acceleration" or not, but I can guess which it will be which is a shame as a Supreme Court decision on acceleration would be a good read. It might even make the 10 o'clock news. I know parties to construction contracts and their advisers will continue to claim express and/or constructive acceleration. And, as we lawyers always say, each case must be considered on its own merits or not (as the case may be). I also know that I will be sticking with The World Tonight on BBC Radio 4 and the brilliant Ritula Shah who, the BBC website reports, refused to become a lawyer. Good for her - listening to her interview of Dame Edna Everage in 2015 beats any law lecture including one on "acceleration". 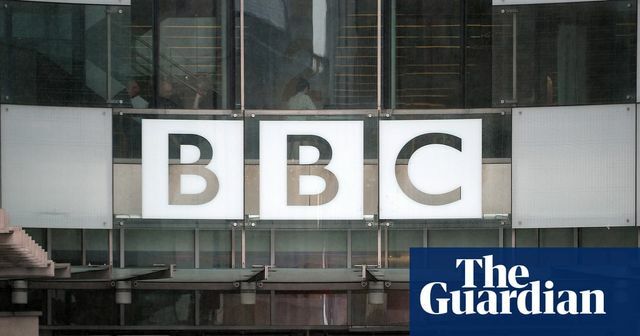 Leading BBC journalists are in revolt at the decision to cut the length of the News at Ten bulletin by 10 minutes and give the time over to youth programming. Well-known on-screen names including the Middle East editor, Jeremy Bowen, and other leading foreign correspondents have written to the BBC director general, Tony Hall, and urged him to reconsider.